Ronnie Devlin is a man on a mission. 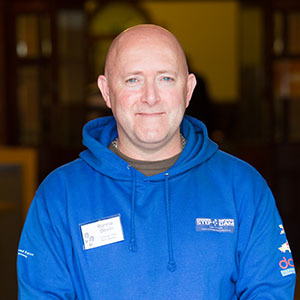 Involved at the early stages of the veteran-to-veteran peer mentoring programme, Change Step, he along with the rest of the Change Step team are supporting its roll out, for the very first time, across the whole of Wales. Ronne is a British Army man through and through, serving his country for over 26 years in locations as far afield as Northern Ireland, Cyprus, Canada and Iraq where he was a Multiple Commander of a Team of ten and most recently Afghanistan in 2010 where he was a Troop Sergeant. It was while in Afghanistan that he began to encounter problems and when he returned to the UK he found it difficult to deal with the fact that many of his men were still there. He was diagnosed to be suffering from Post Traumatic Stress Disorder (PTSD). Change Step already works collaboratively with a range of services including Veterans NHS Wales, Royal British Legion and the Police to ensure a comprehensive and focused service for armed forces veterans. As Change Step rolls out across Wales during 2014 the team are recruiting volunteers who are interested in becoming Change Step peer mentors.